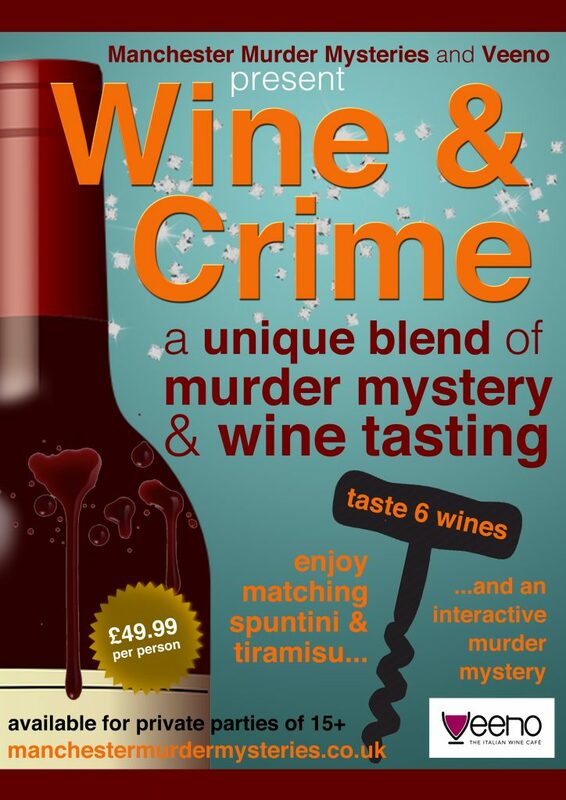 Fancy a little wine with your crime? 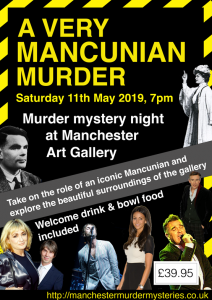 Veeno and Manchester Murder Mysteries offer exclusive wine tasting murder mystery parties where you get to savour the wine and solve the crime. 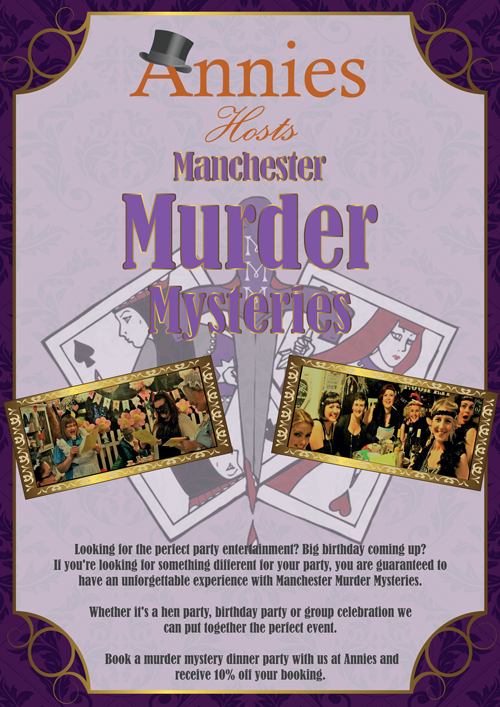 Ideal for corporate groups, hen parties, birthdays and other celebrations, our parties offer top quality wine, food and entertainment. 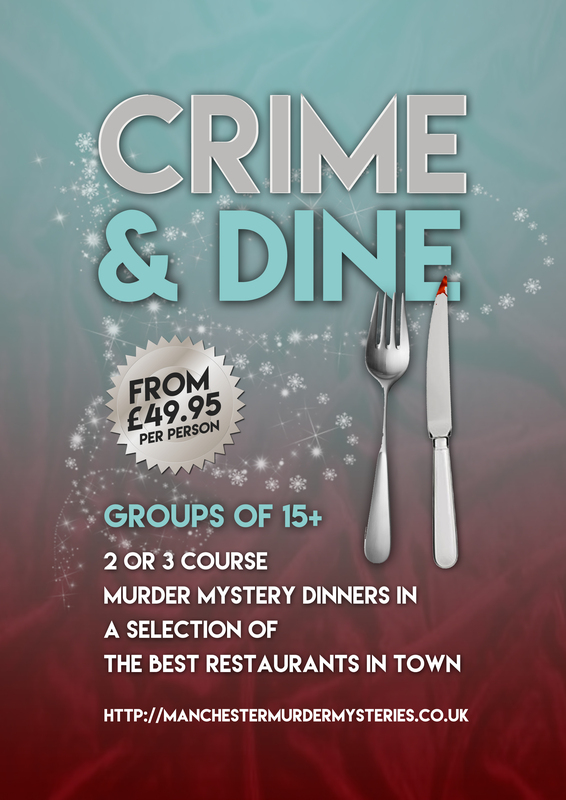 Fun, interactive and full of flavour, our ‘Wine and Crime’ parties offer something truly different. 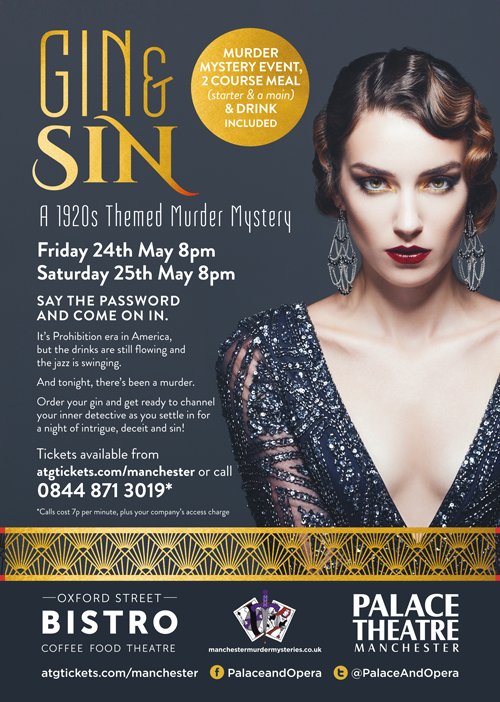 Each party lasts for two hours and are available during weekdays, weekday evenings and at weekends (last party beginning at 4pm). This offer is available at branches of Veeno across the country – please note that an additional travel cost may apply.